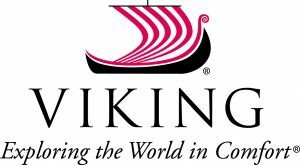 Founded by the late Professor Armour Nelson and the late John Nordberg, the festival promotes the Scandinavian heritage of California Lutheran University and maintains a relationship with a variety of Cal Lutheran’s constituencies in Scandinavian-American communities. The festival began as a celebration of the founding of the college and the history of the Conejo Valley which was settled by Norwegians in the 1890s. Swedish-American Nelson and Norwegian-American Nordberg came up with the idea while playing golf at a course not far from the college in 1973. A faculty member and archivist, Nelson had dreams of showing off his collection of rare Scandinavian books. Nordberg, director of Development, wanted to showcase the stunningly beautiful campus to the greater Los Angeles community. Both men wanted to celebrate their own as well as the school’s Scandinavian roots. In a letter written 10 years after the school’s first Scandinavian event, Nelson described the founding of what was originally called Scandinavian Day. “I told John that I thought an open house exhibit with a scholarly lecture on some Scandinavian topics could inform people about our Scandinavian heritage,” Nelson wrote. “John loved a good show and immediately suggested adding folk dancers and a smörgåsbord,” he continued. In order to turn their dreams into reality, a committee was formed to plan the Feb. 9, 1974, event which brought about 600 people to campus to enjoy a simple display of Scandinavian art, rare books, food, dancing and music. Consuls from Sweden, Norway, Denmark, Finland and Iceland also participated. This first gala was small enough to be held in the college gymnasium, a renovated airplane hangar which had been moved to campus following the closure of a local airport. Today the festival has spread to venues throughout the stunningly beautiful university campus. The Festival Stage and children’s craft areas are located outdoors in Kingsmen Park, the vendor booths are on Memorial Parkway, and other exhibits and programs are held in Samuelson Chapel and other nearby Cal Lutheran facilities.